Our guests today are Cathy Liss (Pres.) and D.J. Schubert (Wildlife Biologist) of Animal Welfare Institute (AWI). We’ll be talking about the USDA’s Wildlife Services (an out of control killing program that kills approximately 5 million animals each year in the name of “managing problems caused by wildlife”), endangered species, wildlife issues and wild horse & burro issues. 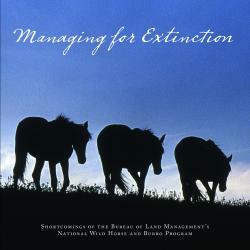 8/23/17 – Terri Farley, best selling author of the Phantom Stallion series for young readers and Susan Wagner, President & Founder of Equine Advocates, on the 2018 Budget threat to kill over 46,000 wild horses and burros, the National Horse and Burro Rangeland Management Coalition Summit (aka the “Horse Killer Summit”), Protect the Harvest, secret spaying and more. Listen HERE. 8/30/17 – Ginger Kathrens, Founder and Exec. Dir. 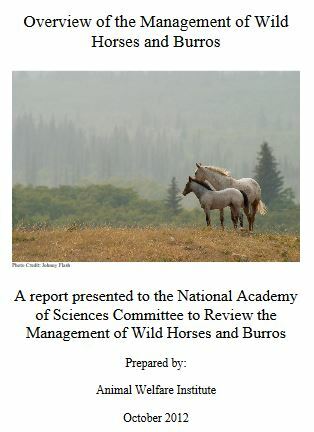 of The Cloud Foundation, and member of the BLM’s National Wild Horse & Burro Advisory Board, on language in the 2018 Budget that would mean 46,000 of our wild horses & burros in BLM holding facilities, and tens of thousands more on public lands, would be killed immediately. LISTEN HERE. 9/6/17 – Russ Mead, Esq., the Vice President & General Counsel of Animal Law Coalition, a 501(c)4 that lobbies for legislation in support of animal welfare. Russ talks about wild horses, advocacy, legislation and his efforts to stop horse tripping at rodeos in Oregon. Listen HERE. 9/13/17 – John Holland, Pres. of Equine Welfare Alliance and Simone Netherlands (Pres. of The Salt River Wild Horse Management Group), on stopping horse slaughter from being approved in the U.S., and the Dept. of the Interior’s language in the 2018 Budget to kill over 46,000 wild horses & burros in holding, and tens of thousands more on public lands. Listen HERE.